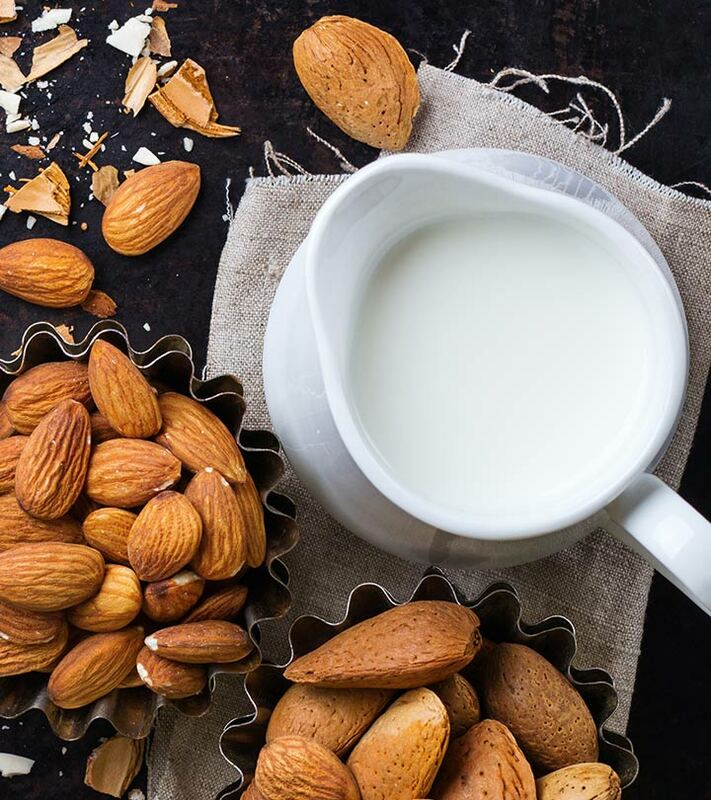 A popular variant of plain milk is almond milk, which is considered very healthy since it combines the health benefits of milk and almonds. And who can ignore its delicious taste! Almond milk is known to be rich in proteins, vitamins, calcium and other vital minerals. It is low in cholesterol and if made without milk fat, it can help one reduce weight. With so many benefits attached to its name, you surely feel tempted to make this drink a part of your daily diet. However, this tasty drink can affect your health adversely, especially if you are allergic to nuts. 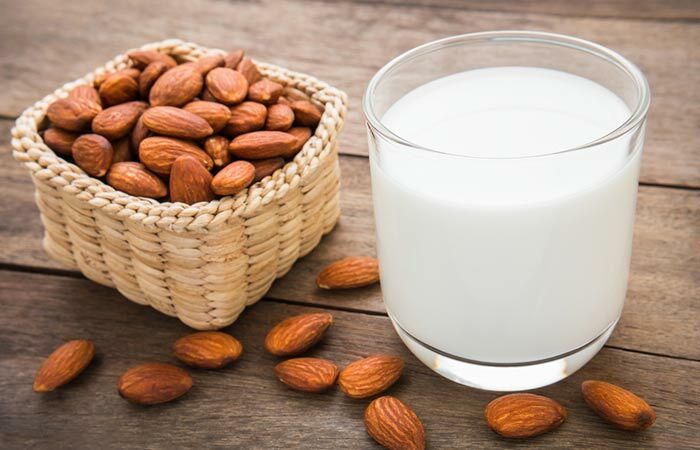 Almond is a part of the list of the most popular allergic nuts; hence, consumption of almond milk by anyone with nut allergies can lead to swelling in the facial region, nausea or diarrhea. Almond is a goiterogenic food, which means that it contains substances that can affect the thyroid gland. It can affect the iodine assimilation by the gland and thus lead to the enlargement of this gland. A counter view is that consuming almond milk can boost one’s immunity power. However, in the light of this side effect, one might be forced to think otherwise. Almond milk contains sugar, the excess of which can lead to harmful effects on one’s health. Many people think that almond milk can ensure the healthy development of a baby and thus feed it to them. 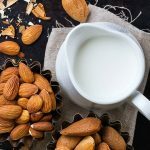 However, it has been found that though the consumption of almond milk might not display any impact on their health in the beginning but could lead to complications in the later run. People who are allergic to lactose can also have side effects of almond milk if consumed in excess. Such people can have allergic reactions after consuming almond milk and hence, avoid having it completely. Consuming almond milk can lead to skin reactions like itching, eczema and hives. These reactions mostly appear within 10 minutes to 1 hour of having consumed the flavored milk. People who are allergic to almond milk might have to face abdominal cramps as it could become difficult for them to digest this milk. The side effects of almond milk include breathing and respiration issues, such as wheezing and troubled breathing. This could be more frequently seen in the cases of people who are asthmatic or have any other issues with their breathing. The people who are unable to digest almond flavoured milk could have allergic symptoms like diarrhoea or vomiting. Almond milk allergies could also lead one to face symptoms like runny nose, wheezing combined with breathing troubles. These are more prominent in people who have nut allergies; but could also be due to any other allergies as well. So, if one has any such allergy already, almond milk should be consumed carefully. A delicious and healthy drink like almond milk, on the face of it, appears safe and healthy. However, the above listed points tell a different story! So, it is important that one consumes almond milk with caution and sparingly, not making it a part of our daily diet without consulting your doctor. Following this can permit one to enjoy it and even keep almond milk effects at bay. So these were some of the almond milk side effects. Fear mongering is rampant today, but that does not mean there is no truth behind these rumours! Research about what you eat because ‘you are what you eat’ and everything that goes inside you can impact your health. So, be careful! Hope you liked our post on side effects of almond milk. Do you consume almond milk regularly? Have you noticed any other side effects? Share with us.